19 hotels with a sea view are waiting for you in Guadeloupe. The archipelago of Guadeloupe is composed of 7 islands. 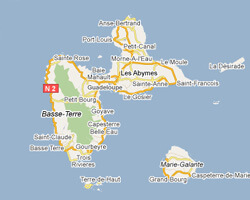 Basse-Terre and Grande-Terre form what is commonly called Guadeloupe. Marie-Galante was recently opened to tourism with its beautiful beaches. The archipelago Les Saintes is a popular destination for cruises and boating. Désirade is wilder and less touristy. 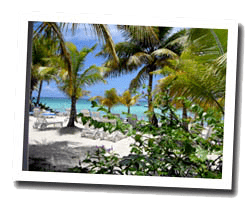 In Guadeloupe enjoy the pleasure of a sea view hotel.